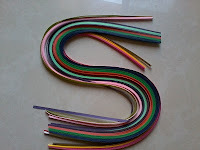 A quilling kit includes strips of colorful paper and the quilling tool. This is the basic kit we get in the market. However there are many professional kits which containt several different tools and boards which enable you to make really intricate designs and patterns. Choose the strips of your choice and curl them using the quilling tool. 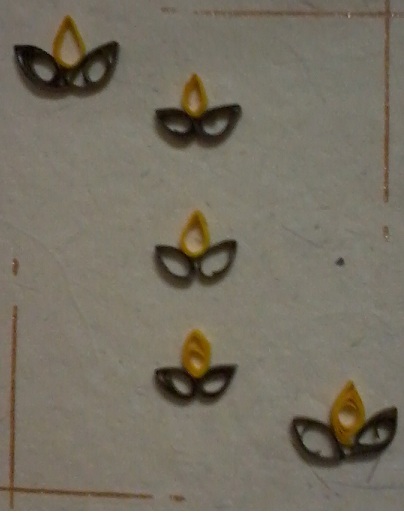 The 2 basic quilling patterns are the coil and the scroll. 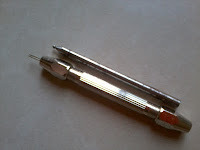 From the coil, you can further create simple patterns like the tight coil, loose coil - which can then be pinched from one end to make a tear drop shape, pinched from both ends to make a marquis and so on. 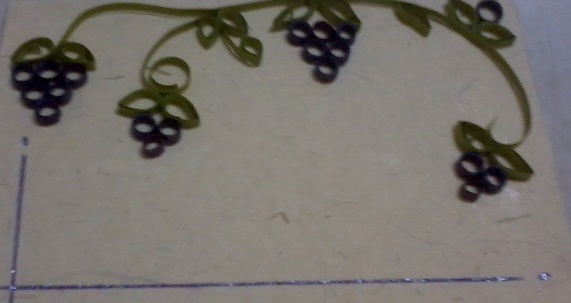 Same with the scroll, by curling it from both ends and twisting it in a particular way can give you 'S' shaped, 'C' shaped or heart shapped scrolls. This illustration of simple types of patterns is taken from wikipedia. 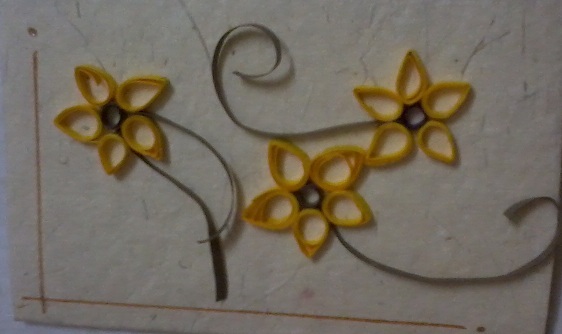 These coils and scrolls form the basic building blocks of the quilling design patterns. So our first step would be to make such coils and scrolls of different shapes, sizes and colors. Once you have accumulated lot of basic building blocks, you can paste them together to make designs like flower patterns,birds, diyas etc. Lot of design patterns and ideas are available on the net as well. 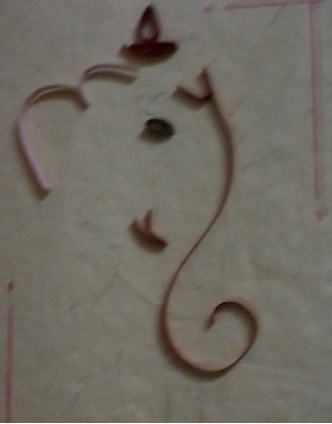 The name quilling comes from the word quill. In olden days, people used to write by dipping quils in ink. This art was started during renaissance by French and Italian nuns who curled hand made colorful papers with help of quils to decorate book covers and religious items.